You will be given a reference e-book to read which has 344 pages And the test will be based on that e-book , you can take final test within 1 year of purchase. Food safety refers to the scientific discipline which describes the process of handling, preparing and storing foods in a manner that illnesses produced by unsafe foods are prevented. This discipline encompasses numerous routines that should be strictly followed as a means of avoiding severe health hazards. It also refers to the process of utilizing various strategies and resources as a means of ensuring that different types of foods are properly stored, well-prepared and well-preserved to guarantee safe consumption. The practice of food safety actually starts by buying or acquiring safe and healthy food items and properly storing any leftovers for future use. It involves the process of preventing foods from any forms of contamination. Preventing food contamination can be achieved by properly storing food items. It is advisable for you to place meat and vegetables in an airtight container and in your freezer. You should also store sugar, spices, cornmeal, flour and any other kitchen items in containers that effectively obstruct airborne bacteria. Another effective strategy in the practice of food safety is to follow strict kitchen sanitation guidelines. These include regularly disinfecting your preparation counters and cleaning your cutting boards and any other cooking instruments including pans, pots, spatulas and knives. It is also important for you to carefully and thoroughly wash fresh fruits and vegetables before using them to prepare foods. The practice of food safety is extremely useful not only in maintaining a better health but also in saving money because it prevents food spoilage and wastage. If you want to become a real food safety expert, then you should consider taking part in the food safety certification program which is now available at Brainmeasures, an online certification company which is well-recognized for its effectiveness in the field and the quality of its online certification courses. 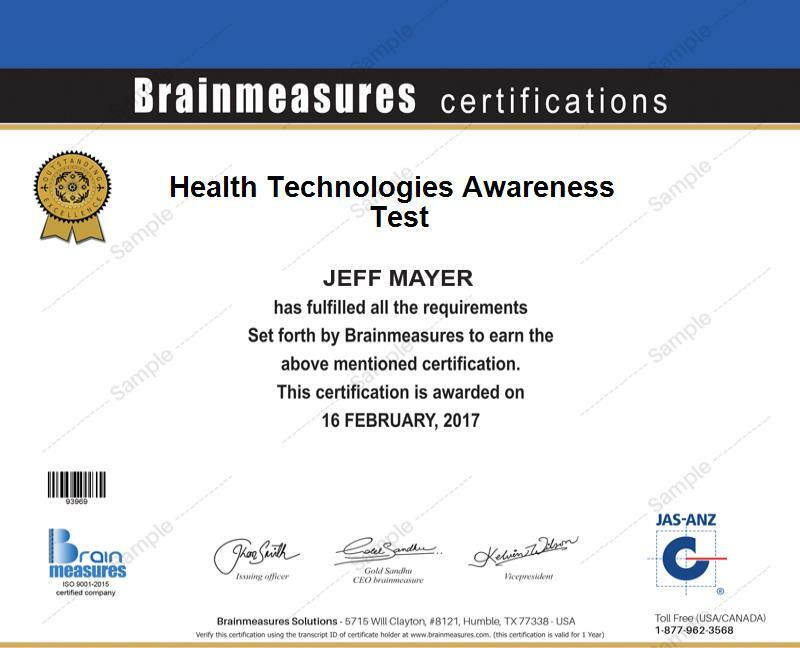 All the online certification courses offered by Brainmeasures are carefully developed and well-thought out so you have a guarantee that you will learn a lot of things from taking part in its food safety course. What makes this certification course even more beneficial is the fact that it offers the most accurate information about food safety through its comprehensive and reliable food safety training which covers all the vital aspects associated to the practice of this essential discipline including its importance, the most common health hazards and risks associated to the unsafe preparation and storage of foods and the most common techniques that you should use and guidelines that you should follow when practicing food safety. As soon as you take a hold of your food safety certificate, you can start showing to the entire industry how effective and knowledgeable you are in this field. Anyone who wishes to gain a more complete understanding about effectively preparing and storing foods can participate in the food safety certification program which is now available at Brainmeasures. This certification course is more beneficial for those who regularly handle foods in the food service industry including food manufacturers, food processors, food retailers, food brokers and wholesalers. You can also find your food safety certification useful in dramatically increasing the level of your salary. With the help of your food safety certification, you will have an easier time getting the position of a quality and food safety manager which allows you to receive an average annual salary of $57,000. You can also take advantage of your certificate by working as a food safety consultant which gives you the chance to receive around $51,000 to $74,000 annually.